See who belongs to the Chamber and who you will meet at one of our events. We have a diverse group who know how to get down to business and have a good time. Join us as we celebrate our community and our members at our local events. See what we have in store this month. 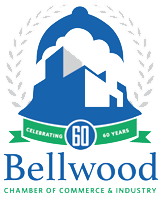 The Bellwood Chamber of Commerce and Industry is well connected to the heart of the businesses in our area. Looking for ways to grow your business and connect with other business owners and residents in our local community? The Bellwood Chamber of Commerce is dedicated to supporting the people who work, live, shop, eat and play in our community. Meet your 2017-2018 Bellwood Chamber of Commerce Board of Directors. Interested in what the Chamber has to offer? Want to know how to grow your business with the help of the Chamber? We have created a downloadable guide of our member benefits.